I have the opportunity to travel across much of southern and central Africa. 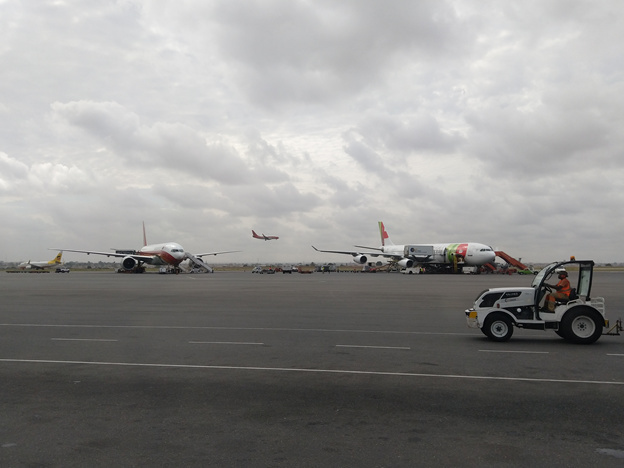 In my travels i have been to larger airports like OR Tambo International (Johannesburg), Bole International Airport (Addis Ababa) and Jomo Kenyatta International Airport (Kenya). I have also been some smaller ones that run commercial flights like Mbuji-Mayi - DRC, Lubumbashi - DRC, Luanda - Angola, Lusaka- Zambia and Antananarivo - Madagascar, to name a few, where no jetways are present, and neither are there pushback trucks. 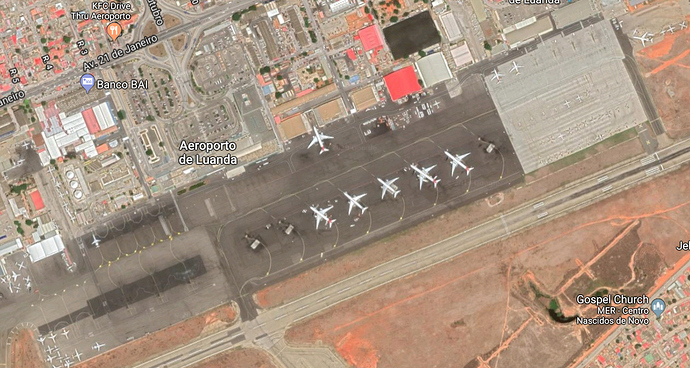 Luanda, Angola for example carry many large aircraft (B777’s etc), with not a single Jetway connected stand. 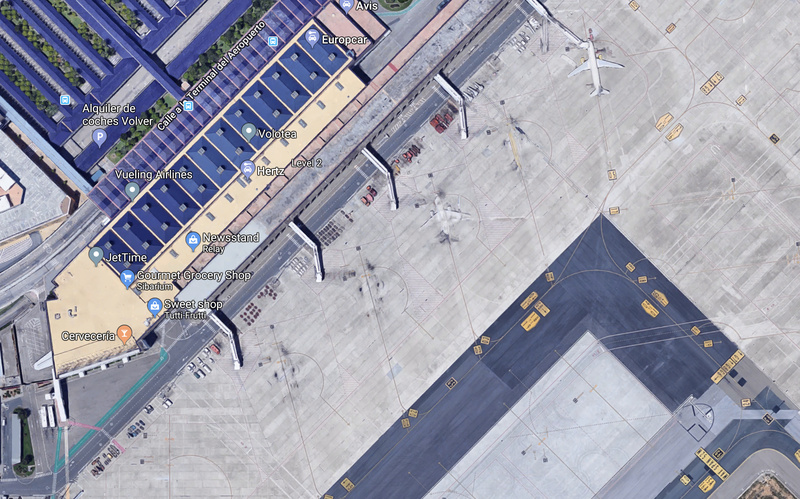 The airport is built in such a way that planes park next to each other at a slight angle t the airport, and when they are ready to depart, the plane simply moves forward and goes past the other airplanes to the taxiway leading to the runway. Note: the plane closest to the building is at a hanger. This one from when i was there. Flew back on the 777 to the left. So there is no pushback trucks needed, and the other support vehicles are parked in the garage by the airport, and then come when the plane is there. OR Tambo - here planes that do not need stairs park in a similar fashion, so all you need is a bus to pick them up and take you to the terminal. This should also apply to small stands, making them somewhat more modular. GA especially. Then there are storage stands, which i know have made an appearance before as well. This would be a plane that comes in, loads off, but only flies out later or the next day. They would then need to move to a remote stand where all they need is a staircase. I think this could add in the “evolving” of an airport in different way, adding a few fun elements. Three words: I. WANT. THIS. I like these ideas. This is the kind of detail I want to see in tycoon/management games. I hope the devs think about such rather small options, because details like this add high diversity to how and what you can build. And from my point of view it seems not asked too much, no fancy graphics needed, no need to reinvent the wheel. But then, I am not a programmer nor a developer. This was one of my earlier suggestions. I WOULD LOVE to have pull-through remote stands, as they are seen around the world. Still holding my breath. THIS WOULD BE SO aMAZING !!! Some airports have this type of pull through stand with air bridges. This would be really great to see. 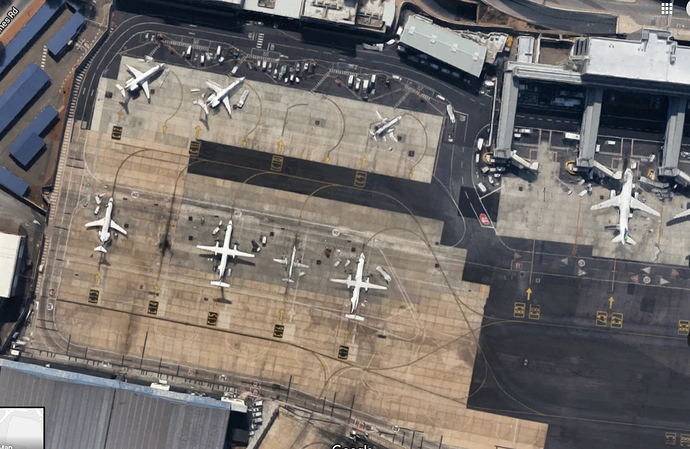 At Seville Airport, planes park at an angle to the terminal but still have connected air bridges. On departure the plane makes a tight turn without a pushback truck.